At the core of most websites is a key objective: acquire new customers. Of course there are others, but nothing is going to facilitate growth and profit faster than a constant stream of new business. Over time, your organization has probably created a wealth of ways - or paths - for visitors to turn into customers. 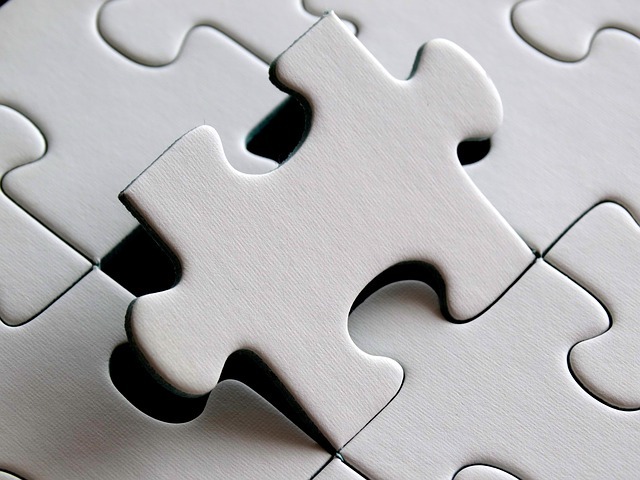 Now, you may be trying to figure out which of those paths is the most successful, how to optimize your media campaigns to work with them or drive them through it, and how you can fix the ones that fail. Much like a carpenter uses a hammer and nails, you need the right tools for the job. 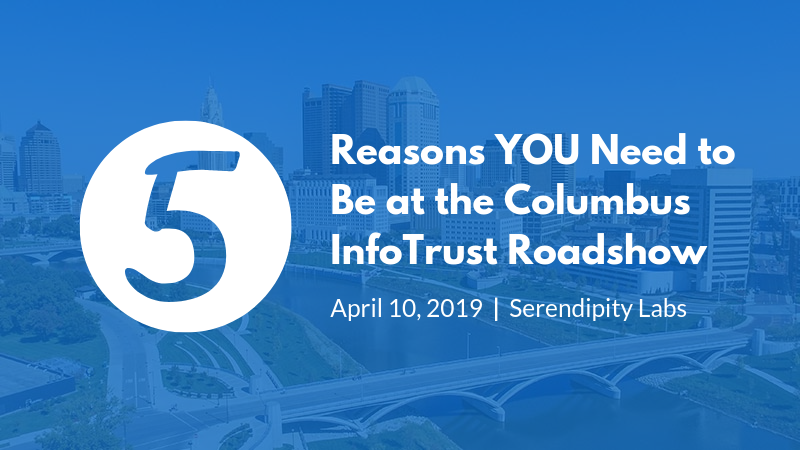 Specifically we’ll be discussing how to leverage Google Analytics 360’s funnel custom reports, advanced segments, and integrations across the Google Marketing Platform. First, let’s discuss the two main types of users you’ll see navigating down your intended paths. 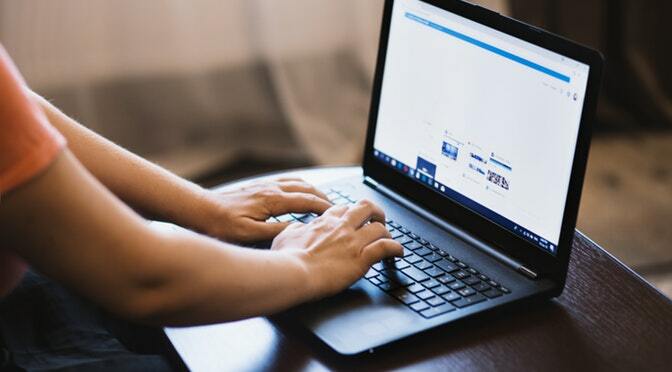 A converted user - the ideal outcome is the user navigates completely to the end and accomplishes your objective, such as registering an account. An engaged user - the user partially navigates through your path but, at some point, bails out and doesn’t convert. The idea, of course, is to turn engaged users into converted users. Integrations will be key here. You will want to attach your Google Analytics 360 data to your Display Video 360 (previously known as DoubleClick Bid Manager) and Google Ads (AdWords) accounts. Having that in place allows for data from each system to be shared and will make passing these users back from GA360 possible. After you have a GA360 web property to work with, you can create a custom funnel report in a single view by navigating to the Custom Reports section of Google Analytics, creating a new custom report, and selecting the “Funnel” type. 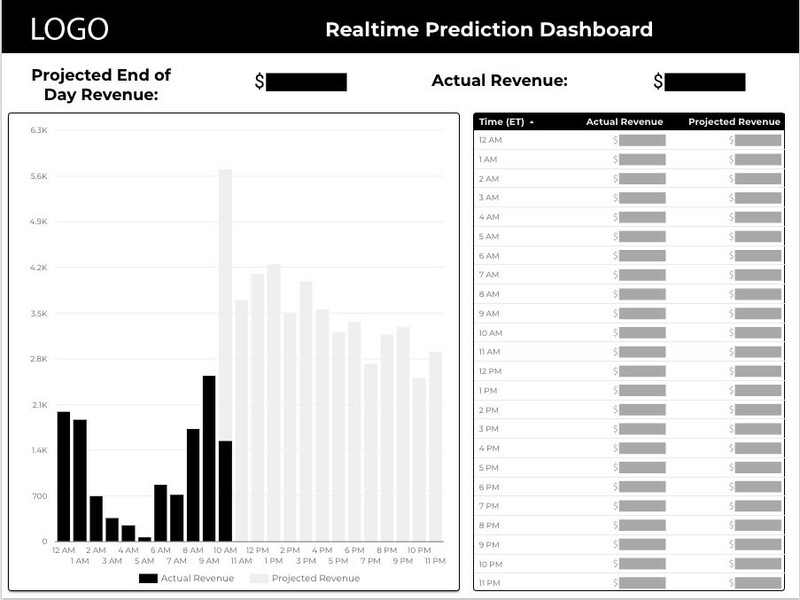 Using this report, you can create a funnel that follows a sequence of steps that you define. 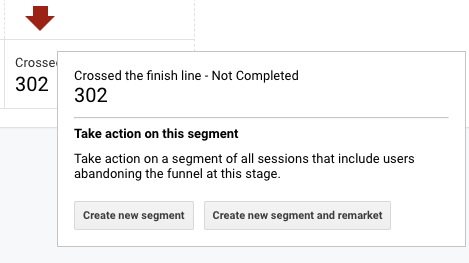 The funnel reports are flexible and you can define if people need to enter at the beginning or if they can enter during one of the later steps. The journey can occur across multiple sessions, or be locked into the same session. Unlike the goal funnels, these reports are not restricted exclusively to pageview type activity. 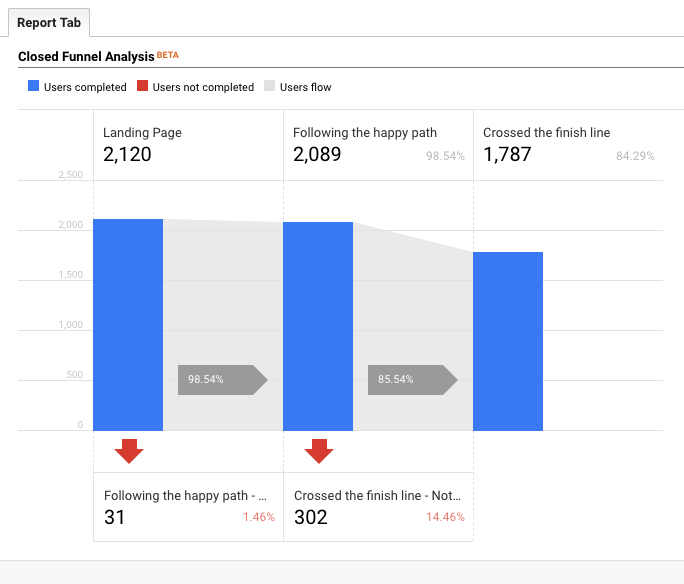 In this simple example, we’re looking at users who land on a certain page, take a step down the happy path we’ve laid out for them, and then crossed the finish line. The information below the red arrows shows the quantity and percentage of users who have competed or fallen out of our funnel. Users that fall out of the funnel could have dropped to another page on the site or left altogether. That’s where your analysis is going to come in. To make your life a little bit easier, this report comes with a turnkey solution for conducting that detailed analysis. Hover over the red arrow and you’ll see some options to create a new advanced segment that isolates those users in your reports. Using the segment you’ve created from this report you can poke around the rest of the reports to find out what makes those users tick. Where did they go? What else were they interested in? Did they take an unexpected path? Additionally, you’ll notice you can create an audience to be kicked back up to DV360 or Google Ads. Building an audience or segment based on a sequential order of actions can be complicated unless you’re expertly familiar with the various dimensions and metrics within GA. Creating audiences using funnel reports takes a lot of the leg work out of building these complex audience types. Easier creation also means they’re less error-prone, and ultimately leads to a more highly targeted ad. Watch this video for a full breakdown of how Audience sharing and targeting can work with the Google Marketing Platform powered by Analytics 360. Everyone’s configuration of this report will be unique to their objectives. Your actions with this analysis will differ greatly as well. 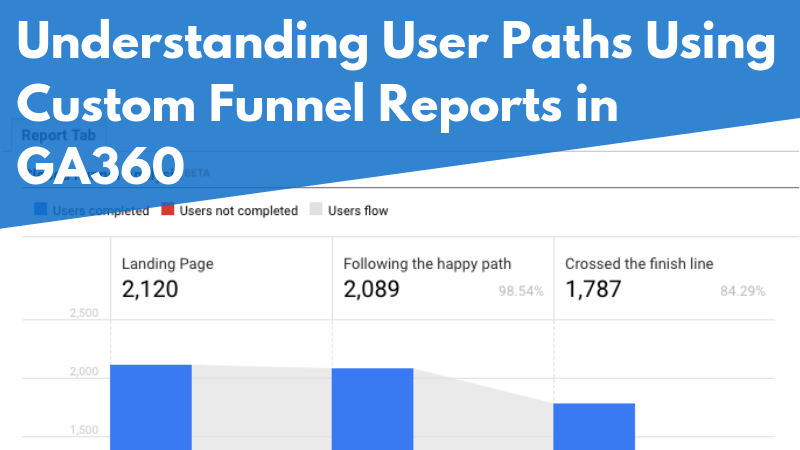 Custom funnel reports give you the tools to start asking the right questions about your users’ behaviors and help you shape it in the future and to turn your engaged users into converted users. These reports are only possible with Google Analytics 360. Funnel steps can use Regular Expressions, making them even more powerful. These reports are meant to be tweaked and modified - be flexible and try new things! Put yourself in your user's shoes and use InfoTrust’s Tag Explorer to see what is being collected on the path to define your steps. Advanced segments can be layered on top of this style of funnel report for more targeted users. Have you set up any custom funnels for your website analytics platform? If you need to know where to start with an analytics implementation to get these types of capabilities in place, check out our guide for large scale analytics deployments here.